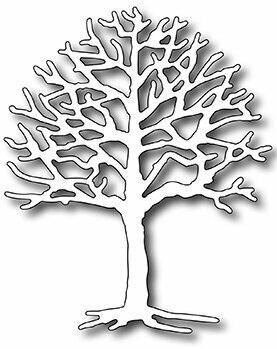 Sue Wilson Dies - Stained Glass Collection Bonsai Tree Die. The Stained Glass dies allow you to create a beautiful card with a multitude of different techniques and they can be used for any occasion. I have sized these to fit a smaller card size too as I have had many requests for that option. The bonsai design has a decidedly more masculine feel to it as well as could easily be used for a variety of other occasions. This dies are designed to easily lend themselves to different techniques and products. Imagine pixie powders or gilding polishes, micro beads or mica powders, they will all look fabulous as stained glass backgrounds. Designed by Sue Wilson these cutting dies are an elegant collection of high quality steel designed to co-ordinate with each other. 1 die. Size: 4.41" x 3.11". Sue Wilson Dies - Tropical Collection Island Paradise Die. This set includes a great collection of dies to remind you of a tropical beach vacation! Includes: palm trees, hammock, birds, plane and banner. Designed by Sue Wilson these cutting dies are an elegant collection of high quality steel designed to co-ordinate with each other. 6 dies. Sizes: Smallest: 0.47" x 0.79", Largest: 3.31" x 2.32". Christmas themed craft die from CottageCutz featuring a Christmas Tree. All of the CottageCutz metal dies are universal, easy to use and add great detail to any craft project. They are compatible with most brands of die-cutting machines. Adapters and shims may be required on some machines. Use with paper, cardstock, vinyl, vellum, adhesive-back paper and more. Made in the USA and 100% lead-free. Christmas themed craft die from Sara Davies featuring a traditional Christmas Tree. A wonderful stencil for any time of year. Perfect for double-glitter, doodling, stenciling, pasting and more. Stencil measures 5-1/2" X 3-5/8". Coordinates with our Tree Line Die Cut. 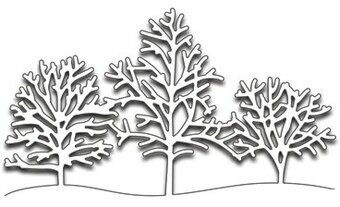 This Die-namics coordinates with the Trio of Trees stamp set for perfectly sized die cuts every time. It is open inside to allow you to stamp then cut OR cut then stamp. This feature makes the Die-namics lighter weight and allows for easier removal from the die. MFT Die-namics, our very own exclusive American-made line of steel dies. Die-namics dies work with your favorite die-cutting machine. Christmas themed Penny Black Creative Die featuring a Christmas Tree. Hero Arts craft dies featuring a Christmas Tree. Hero Arts Fancy Dies are intricate designs and stand-alone cutters that produce beautifully detailed cut-outs on paper. Reminiscent of a Hero Arts stamp design, Fancy Dies compliment stamps instead of matching them to broaden your stamping and technique options. They are made with intricate cutting surfaces from sturdy metal, are universally compatible with cutting machines, and work well with the complete Hero Arts line of stamps and papers. Winter themed Penny Black Die featuring a bare tree. Christmas themed Hero Arts craft dies featuring reindeer and a Christmas Tree. They are made of solid metal construction with a sharp and durable cutting edge. Universally compatible, they are engineered to easily to align around your stamped images and stay strong enough to cut through most stamping media. 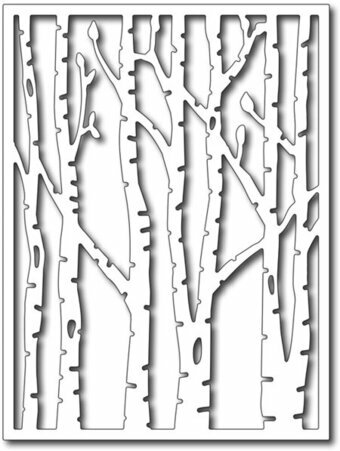 There are plenty of birch tree dies out there, but we think, none as versatile as this one. First, you get 3 different birch tree trunks, each measuring 5.5" tall. This allows you to use them on both vertical and horizontal cards, or even on square cards. Next, we've included 6 cute animals (2 cardinals, 2 squirrels, and 2 rabbits) perfectly sized to the trees. It's easy to create forest scenes using this great set of birch trees. Try adding any of the deer from our "Herd of Deer" die set (FRA10035) for even more possibilities. Bonsai (Japanese translation of "planted in a container") refers to the art of raising miniature versions of trees achieved by stunting their growth by keeping them in a pot. 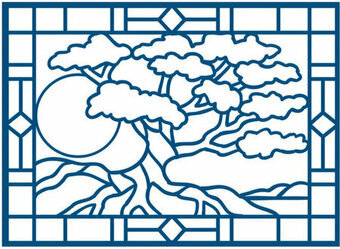 The art of bonsai can involve many years of pruning and training the tree branches into the perfect shape. 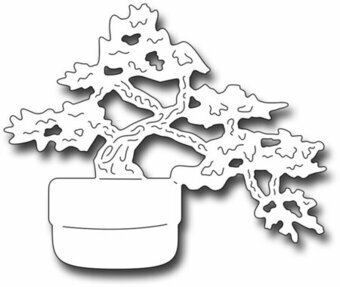 Our bonsai tree die measures 2.875" x 2.375". 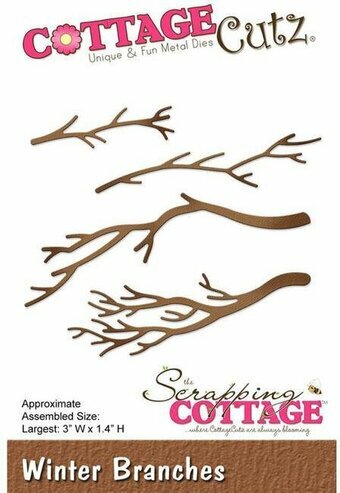 The Branch Large Punch from EK Tools features a tree branch, and would be great for Spring themed projects. 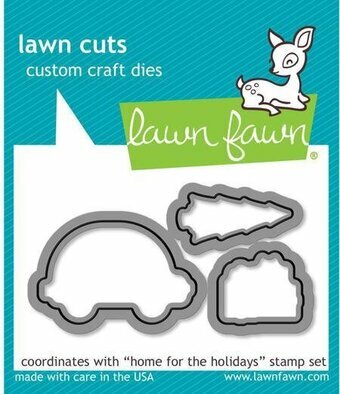 Craft die from CottageCutz featuring a car with a Christmas Tree on top. All of the CottageCutz metal dies are universal, easy to use and add great detail to any craft project. They are compatible with most brands of die-cutting machines. Adapters and shims may be required on some machines. Use with paper, cardstock, vinyl, vellum, adhesive-back paper and more. Made in the USA and 100% lead-free. Christmas Joy Stamp and Die Set Zenspired Holidays Collection by Joanne Fink brings both worlds together of die templates and coordinating stamps to give these images life! These cling (EVA) rubber stamps are designed to be used with an acrylic block. This set includes one etched die with two coordinating stamps. Zenspired Holidays Collection by Joanne Fink brings her signature creative drawing techniques into the holiday spirit. For fans of Zenspirations, it is an inspiring to a fun-loving array of designs and a must have in your collection. Approximate Size: Die: Tree: 2.45 x 3.95 in 6.50 x 10.50 cm, Stamps: Tree: 2.60 x 4.10 in 2.60 x 10.40 cm, Christmas Joy: 4.00 x 0.60 in 10.20 x 1.50 cm. Christmas themed craft die featuring a Christmas Tree Cupcake. All of the CottageCutz metal dies are universal, easy to use and add great detail to any craft project. They are compatible with most brands of die-cutting machines. Adapters and shims may be required on some machines. Use with paper, cardstock, vinyl, vellum, adhesive-back paper and more. Made in the USA and 100% lead-free. Christmas themed paper craft die featuring a Christmas Tree with Good Wishes. CottageCutz are thin metal dies, like a QuicKutz. They are easy-to-use and add great detail to any craft project. This die is compatible with the following machines: QuicKutz Squeeze, Revolution, Sizzix / Ellison Big Shot, BigKick, CuttleBug, SpellBinder Wizard and Accucut Zip'eMate. Adapters/shim may be required on some machines. Made in the USA. 100% lead free. Craft die featuring tree branches. CottageCutz are thin metal dies, like a QuicKutz. They are easy-to-use and add great detail to any craft project. This die is compatible with the following machines: QuicKutz Squeeze, Revolution, Sizzix / Ellison Big Shot, BigKick, CuttleBug, SpellBinder Wizard and Accucut Zip'eMate. Adapters/shim may be required on some machines. Made in the USA. 100% lead free. Crafty-Ann craft die featuring a country landscape with trees and a bird. 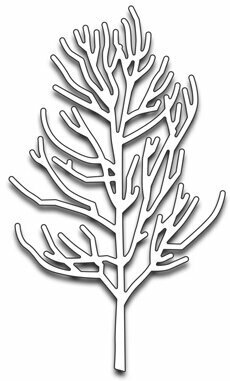 Size: Tree 1: 1 3/8'' x 2 1/8" (34mm x 54mm), Tree 2: 1 1/2" x 1 3/8" (39mm x 36mm), Bush: 3/4" x 1 1/8" (18mm x 29mm), Fence: 5" x 3/4" (127mm x 19mm), Bird: 1 3/8" x 3/4" (36mm x 18mm), Heart: 5/8" x 1/2" (15mm x 13mm). This mask shows an adorable tree with heart leaves. Includes 1 stencil. Size: 6 x 6 inches. Elegant and mysterious, the cypress tree is a wonderful Japanese motif while also calling to mind more Mediterranean climes. Stencil measures 4-1/2" X 3-1/2". Craft dies featuring a Folk Tree with a bird. Compatible with most die-cutting machines. Craft die featuring a moose and trees. The hope and allure of a woodland hike is to catch a glimpse of the critters that call the forest home! Ideal for all of your outdoor themed paper projects, when paired with the coordinating cling stamp set the adorable critters in this assembling of dies will bring your woodland forest scenes to life. Create dimensional woodland critters frolicking through the trees, while others stand and observe them at play all while being serenaded by the sounds of melodious songbirds. 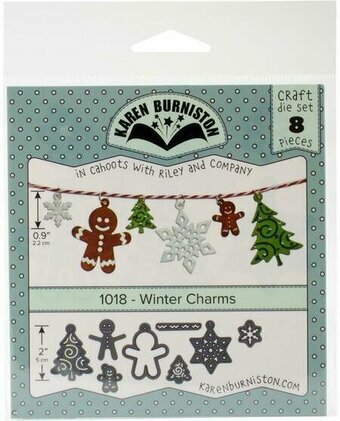 These dies are part of the Woodsy Wonderland Collection and pair with the Woodsy Critters Cling Stamp Set. Approximate Image Sizes: 1. Towering Pines: 2.5" x 2.0", 2. Frolicking Foxes: 2.0" x 1.75", 3. Colorful Cardinals: 1.75" x .75", 4. Racing Rabbits: 1.5" x 2.0", 5. Racing Rabbits: 1.5" x 2.0", 6. Peaceful Deer: 3.75" x 1.75", 7. Singing Songbirds: 1.25" x 1.0". EK SUCCESS-Jolee's Boutique: Dimensional Stickers. Mixed media dimensional stickers in a variety of themes and designs perfect for any and every occasion. This package contains Holiday Word Trees: six dimensional stickers on a 7x3-3/4 inch sheet. Not edible, for crafting purposes only. Due to the homemade nature of this product, materials and color may vary slightly. Imported. This handy set of birch trees is perfect for creating lovely winter outdoor scenes. 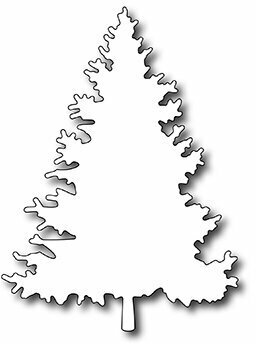 Includes a group of 3 trees, as well as a single tree that can be mixed and matched to create a forest. Includes 2 dies. Size: 2 x 5.5 inches and 1.25 x 5.5 inches.